Patented DirectCompress™ Soldering, increases the actual contact surface between the heatpipe and heatsink fins. 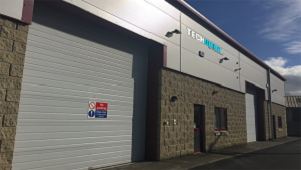 DirectCompress™ Soldering has up to 10% more contact surface compared to traditional soldering, and the more contact surface the faster the heat conduction. The R1’s Heatpipe Convex-Align™ System allows for more heatpipes in a given area, optimized heatpipe placement in the copper base, and improved alignment with your CPU. With the Heatpipe Convex-Align™ System, each heatpipe functions to their maximum TDP capacity. The individual tower stack is separated into two sections, the loose air intake and the high density exhaust section. By the laws of fluid dynamics, the increase in fin count in the exhaust section squeezes airflow and increases exhaust air speed. The increase of airflow speed in our Jet Fin Acceleration System™ allows heated air leave the tower faster. Acoustics are just as important as performance. That’s why the XF140 140mm fan integrates acoustic optimizations. The XF140 features our High Precision Low Noise (HPLN™) Bearing and the detachable Acoustic Vibration Absorbers that give the fan a snugger fit while canceling vibration and noise at the same time. Patent Pending "Multiseg™" Quick Mount System providing an all in one solution on Intel platforms, CRYORIG’s MultiSeg™ Quick Mount System allows for a securer and firmer installation within minutes. 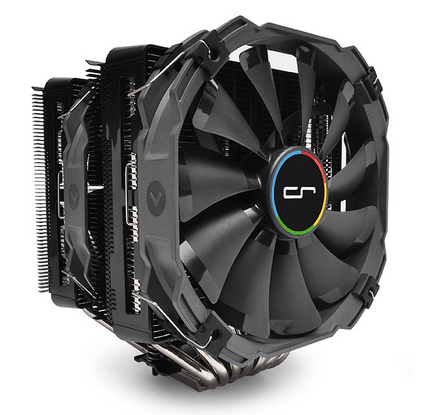 CRYORIG products are planed from the ground up to be user friendly and easy to use. Watch how you can get your CRYORIG Product up and running within a few minutes.